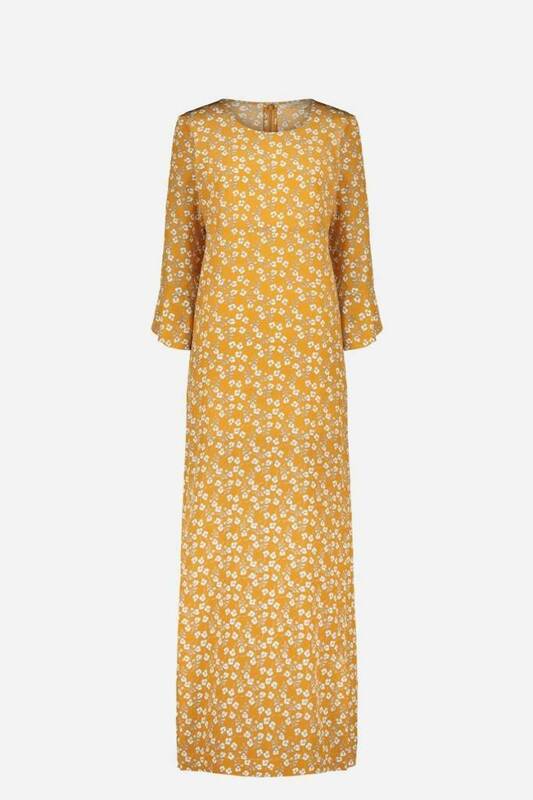 The Loreva dress by Vanessa Bruno is a supple long silk dress with a beautiful pansy liberty print. It might be considered a sweet outfit until you see the perky high slits. 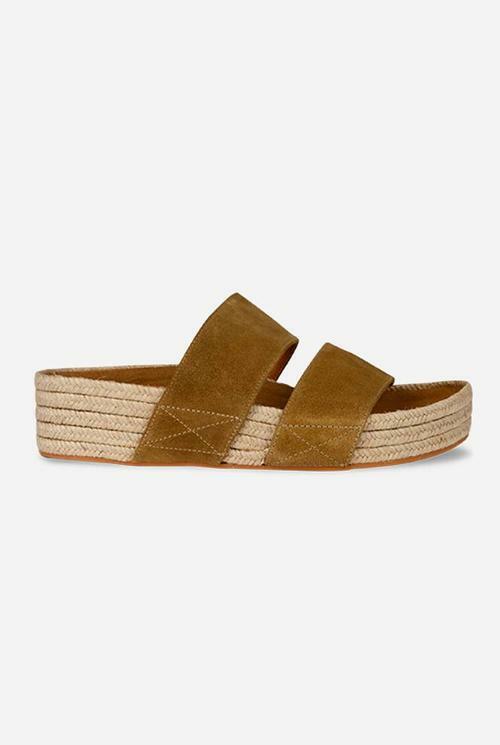 Combine with the Mulle suede slipper to add casual character to the outfit. Dry cleaning by a professional only. Iron at a maximum temperature of 110 ° C. Iron preferably without steam.